A week ago we were wondering through the narrow corridors of the Cape Town Castle discovering Kamers Vol Geskenke (which literally translates to “Rooms full of presents”). It was a rainy Sunday with a big cold front on the way but it did not stop us going. Here are some of my favourite things…. From top left going clockwise: Fynbos Olive Oil soap; Pure Creation lights and artwork prints; a view of the center tent at the Cape Town Castle; the dolphin fountain that was surrounded with ducks at the food court (but I do not know why they are all missing from this photograph?!? ); lasered wooden spoons at the CCDI tent, a view out of the window at the CCDI tent; a really beautiful background to the Mamere confectionary stand; cute saucer and cup by Elsje Burger and a peek inside the center Kamers Vol Geskenke tent. 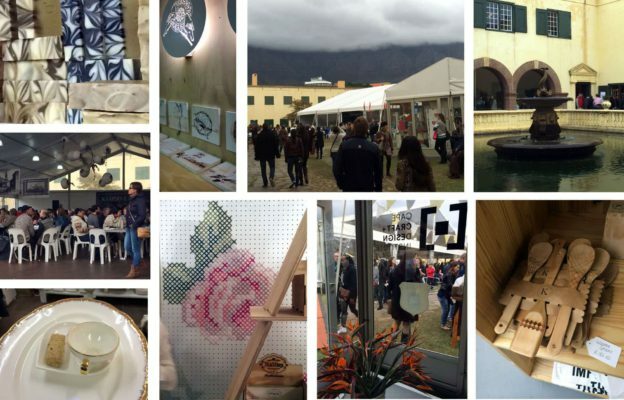 As a designer-maker there is a lot of pressure to exhibit at such events – especially as it is Cape Town’s World Design Capital year but it was so wonderful to be able to walk through the space, say hello to all the stall holders that I have had the privilege to meet (and most of them sell alongside) over the years and enjoy just being there. ….we even ventured into the exhibition: Design & Making: The story of Food, curated by the Cape Craft & Design Institute (CCDI) and the Iziko Museum’s Social History Collections Department. My favourite item on display was this little 19thc spice box (far right). 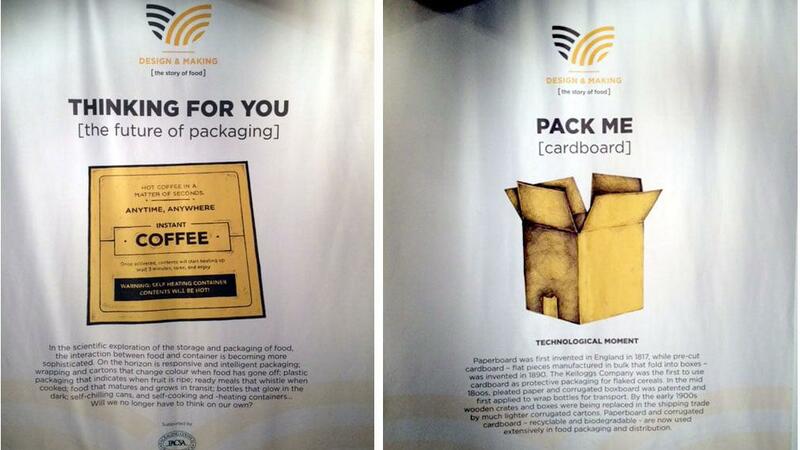 I also really enjoyed ready these two posters about packaging and cardboard (below). This entry was posted in Blog and tagged at the castle, cape of good hope castle, cape town castle, cardboard, CCDI, elsje burger, iziko museum, kamers vol geskenke, Kamersvol Geskenke, Mamera confestionary, Packaging, purecreation.co.za, spice box, story of food ehxibition.